There were no rebels in Aleppo but terrorists who massacred civilians, Pierre Le Corf, the founder of We Are Superheroes humanitarian organization, who has worked for months in the Syrian city, noted in his open letter to French President Hollande. "Mr. President,… I have been the witness of a massacre and humanitarian crisis in which we, as a nation, are actors and even backers by supporting terrorism. I address this message to you, and to all the others who could have the decision making power to make peace and make all civilian populations a priority," Le Corf writes in his open letter published on Facebook. The young humanitarian underscored that contrary to popular belief all these years the people of Syria have been fighting against terrorist groups, and not against the Assad government. "These terrorist groups are named the Free Syrian Army, al-Nusra Front, Jaysh al-Islam, Harakat Nour al-Din al-Zenki, Brigade Sultan Mourad," and others, Le Corf underscored, stressing that since the beginning of the conflict and up until now these groups have been bombarding Aleppo on the ground and killing civilians. "I use the term 'terrorist' because there are no rebels in Aleppo, at least nothing that could allow us to consider them as such," he highlighted. 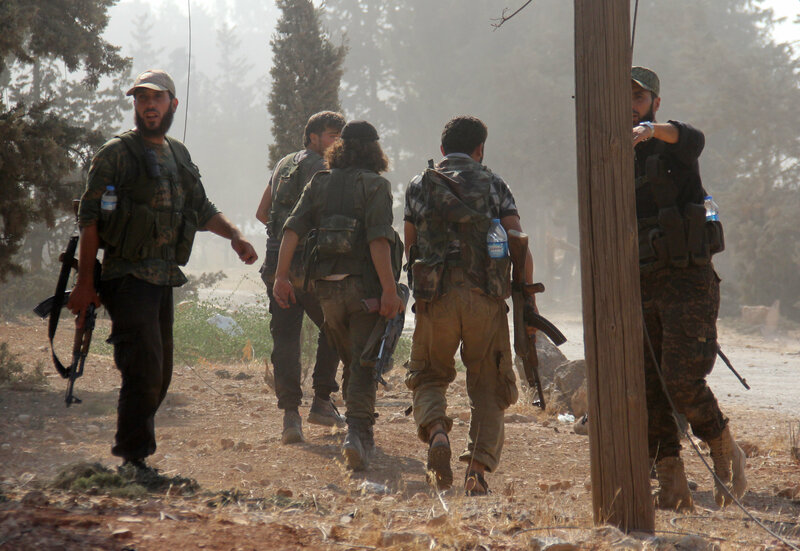 Despite the fact that rebel groups reached an agreement with the Syrian government and were allowed to flee to Idlib many of them came back to resume suicide attacks, Le Corf noted. While the European mainstream media continues to refer to numerous armed groups on the ground as "Syrian moderate rebels" they are "moderate" in name only, the humanitarian noted. He disclosed that the "rebels" exerted their own version of Sharia laws upon Aleppo's residents and felt free "to detain, torture, execute arbitrarily, and marry children." As for the infamous "White Helmets," most of them were "first aid workers by day and terrorists by night, or vice versa," Le Corf remarked, adding that what is even more embarrassing is that the organization was financed by France, the UK and other European countries. However, that's half the trouble. The humanitarian underscored that during the conflict the European media along with top-ranking EU officials de facto legitimized the terrorist groups, thus enabling them to gain ground in Syria. "No matter the country where they have been used, videos and contents created by the terrorists and partisans, sometimes entirely staged, have been broadcasted in prime time by our media, manipulating the death and suffering of those living in the middle of the fighting to use the compassion and love of those watching," Le Corf stressed. At the same time, a few European media outlets mentioned that thousands of Aleppo residents were used as human shields by the so-called "rebels," the humanitarian noted. He underscored that he has "evidence for everything" he described in his letter. Le Corf is not the only observer who has called attention to the mainstream media's double-standard approach to the conflict in Aleppo. About three months ago Stephen F. Cohen, professor emeritus of Russian studies at Princeton University and New York University, noted in his interview on The John Batchelor Show that the US mainstream media had turned a blind eye to terror activities in eastern Aleppo and began to call al-Qaeda-inspired jihadists "rebels." The professor recalled that for months Washington and Moscow had been negotiating joint military operations against al-Qaeda's branch al-Nusra Front in Aleppo. However, in October 2016 the situation drastically changed. "If you pick up a paper today the narrative is completely different. In Aleppo there are only rebels, there are no longer terrorists. You don't see the word 'terrorist' or 'jihadist' in the narrative anymore," the American academic pointed out denouncing the media for utter hypocrisy. However, according to Sputnik French, the truth is finding its way out. Thus, Regis Le Sommier of Paris Match admitted in his December report that the description of the situation in Aleppo provided by the European mainstream media "not always" corresponded to the reality on the ground. He quoted an Aleppo resident who lambasted the so-called "rebels" and praised the Russo-Syrian air campaign that allowed the Syrian Arab Army to liberate the city from Islamists. For his part, French journalist Jean-Francois Kahn of the French Marianne magazine underscored in his op-ed that Syria has fallen victim to the biased mainstream media narrative. "Apart from any personal coverage of each journalist working in Syria, there should be an international journalistic commission which would travel to eastern Aleppo, launch a journalistic investigation and reveal what really happened on the ground there," Kahn stressed in his interview with Sputnik French in early January.